As purveyors of salt, we have traveled the world to bring you a top notch culinary experience! 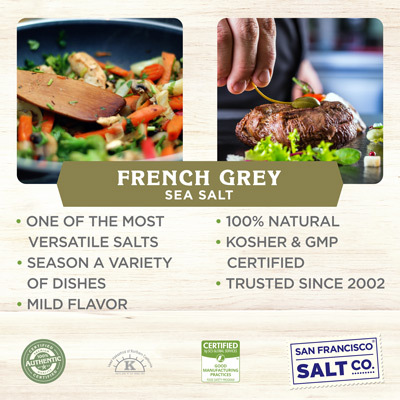 French Grey Sea Salt is a culinary delight favored by professional chefs around the world! This admired delicacy is formed when sea water flows into the French Guérande Marshes during high tide. It is hand-harvested by salt workers, using skills and methods over a thousand years old. Sel Gris de Guérande obtains its natural grey coloring from the salt crystallizing on clay, which makes it dense in flavor and nutrients. Our French Grey Sea Salt is 100% natural and carries the Nature & Progrès' certification label from France. *Please note: Due to its natural harvesting process, this salt may arrive slightly damp because of moisture in the salts. 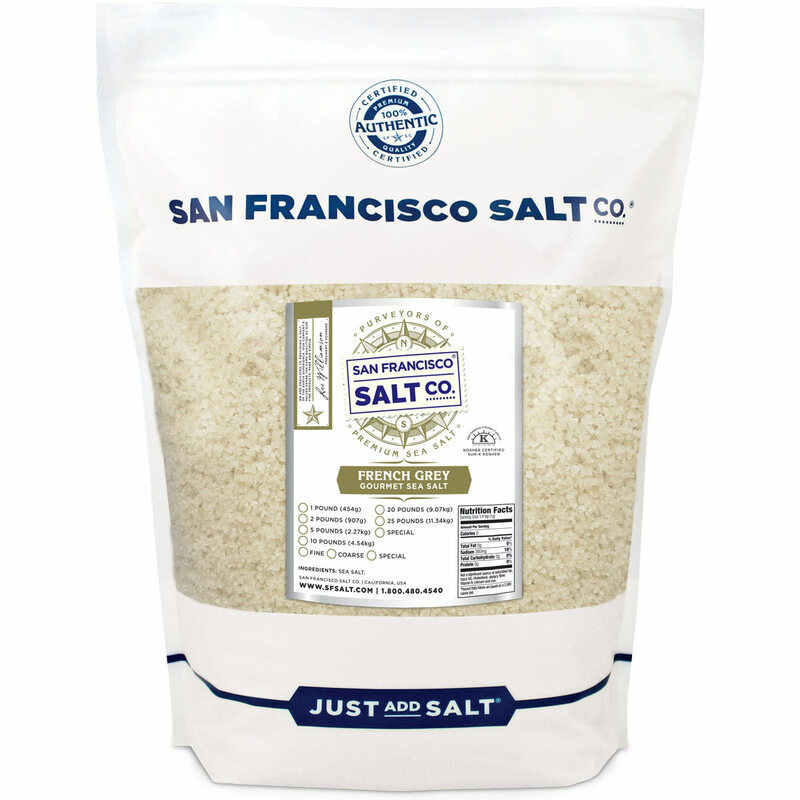 SEL GRIS - French Grey Sea Salt, or Sel Gris, is favored by gourmet chefs because of its naturally high moisture content, its complex briny flavor, and its abundance in minerals. French Grey Sea Salt crystallizes on clay on the bottom of salt evaporation ponds, which gives it it's unique characteristic color, flavor, and nutrients. HAND HARVESTED IN GUÉRANDE FRANCE - Paludiers, or salt workers, in Guérande France harvest French Grey Sea Salt using traditional techniques that are more than a thousand years old. Saltwater from the sea is channeled into shallow marshes and left to evaporate. Once the salt has formed paludiers rake the ponds, collecting the unique crystals formed in the water. 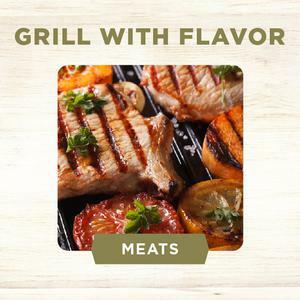 AN ESSENTIAL INGREDIENT FOR PROFESSIONAL & HOME CHEFS ALIKE - An incredibly versatile salt, our French Grey Sea Salt perfectly complements a variety of foods such as Steak, Roasted Vegetables, Stews, Pies, Salads, and more! 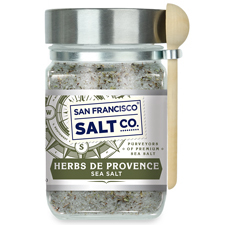 BUY WITH CONFIDENCE - San Francisco Salt Company's French Grey Sea Salt is certified from the Nature & Progrés institute in France, a strict certification process ensuring authenticity, purity, and excellence. 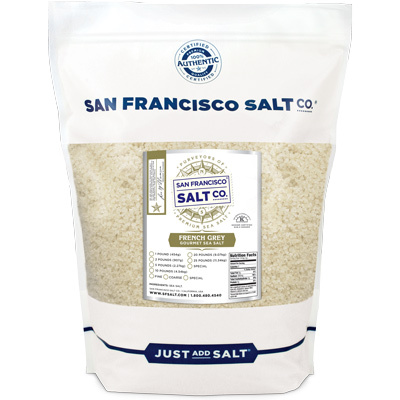 The San Francisco Salt Company is confident that you will be happy with the quality of our products and stand behind every single item. 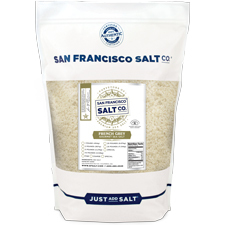 San Francisco Salt Company is a trusted supplier of salt since 2002. DESCRIPTION - French Grey Sea Salt. PROPERTIES - Our French Grey Sea Salt is Kosher Certified, Non-GMO, and does not contain any MSG, Soy, Gluten, Dairy, or anti-caking agents. We package in our U.S.A., SQF Quality code compliant facility. INGREDIENTS - French Grey Sea Salt. 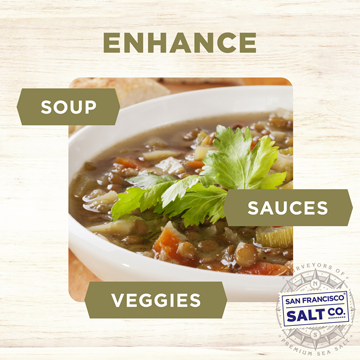 Add French Grey in your next salt rub or brine to maximize�flavor & tenderness of your meat. Add Authentic French Flavor to stews, veggies, pastas, sauces and more! 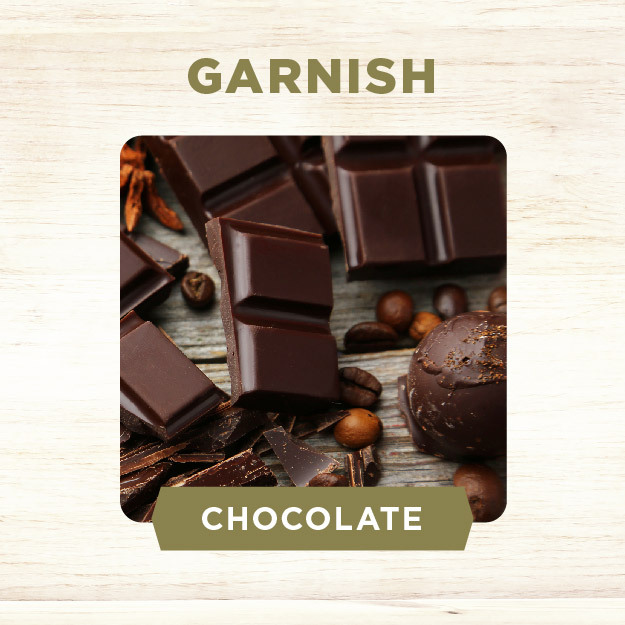 Add a touch of French Grey Salt to dark chocolate to elevate its rich flavor.